The perfect everyday hoops to complement any outfit! 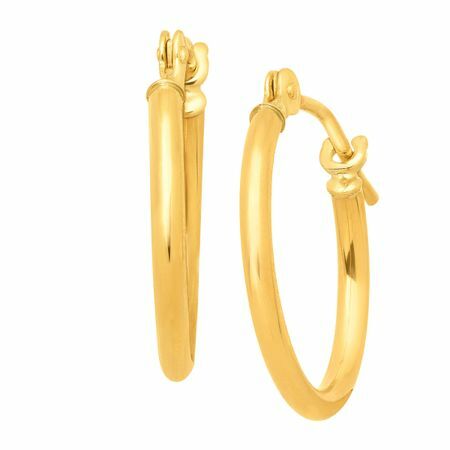 Dainty 14 mm round hoops are crafted in polished 10K gold and feature hinge with notched post backs. Pieces measure 9/16 by 1/16 inches.